Does any women have complete power over her choices? 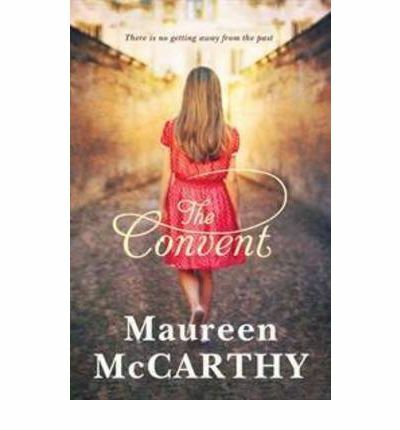 The agency and reproductive rights of women come into question in Maureen McCarthy’s YA novel The Convent. McCarthy writes in her “Author’s Note”: ‘History is so often told from the male point of view, with the female experience either ignored or trivialised.’ In The Convent, she delves into Australian social norms that constrain young women from 1915 to today. Four generations are anchored around Abbotsford Convent in Melbourne, and their stories are told side by side. In 1915, Sadie’s child is taken to live under the care of nuns in Abbotsford Convent. Sadie’s daughter Ellen grows up in the Catholic orphanage, and marries before moving to a country town to raise a family. The only girl amongst six boys, Cecilia decides to join the very convent her mother was brought up in at nineteen. Years later, she leaves and has an illegitimate child. Her daughter Peach is adopted out to a loving family, and at 19 she is a normal teenager with a job, an ex-boyfriend that she can’t seem to get out of her head, and a younger sister to care for. Peach’s ordered world falls apart when her biological grandmother Ellen reaches out to her, and she begins to learn about her true family’s history. Each of the women’s stories are interwoven as we slip between past and present and different family and friends. While ideas of ‘fallen women’ evolved from WWI times to 2012, society’s prejudice against women who don’t fit the traditional mold remains. It’s apparent that throughout the ages, opportunities for unattached women have been scarce. Sadie and Ellen’s father, Frank, split up, and the system of law allows Frank to decide that Sadie isn’t fit to be a mother. He arrives with police to take Ellen to the nunnery, against the will of Sadie who is easily overpowered by moral reasoning and male strength. But that was 1915, we think. It’s different now! McCarthy transports us to 2012, where we learn that Peach’s close friend Det, an irresponsible artist living in a share house, has fallen pregnant. At 21 she has no partner and has already undertaken two abortions, but decides to keep this baby. Her friends are alarmed. 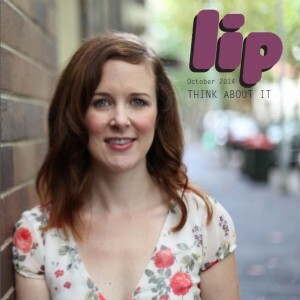 ’As horrible as another abortion is to contemplate,’ Peach narrates, ‘the alternative is simply impossible.’ While the access to medical rights such as abortion is to be celebrated, it’s obvious that Det is not expected to handle a child without the support of a man. In the end, Det has her baby and her community of loved ones help her set up a home and care for the baby, signifying that it is possible to play an untraditional role. Det is lucky that she is cared for by a collection of dedicated friends. As a nun in the sixties and seventies, one of Cecilia’s roles was to look after women working in the famed Magdalen Laundries, a reality in the historical Abbotsford Convent. Girls as young as fourteen who were pregnant or labelled as ‘girls gone bad’ worked long hours in the steamy buildings, servicing Melbourne’s hotels. ‘Magdelene Asylums’ popped up under Catholic institutions around the world, seen by some as a safe haven for girls who had nowhere else to go and seen by others as exploitation of vulnerable women. ‘Fallen women’ were hidden away in the Magdalen Laundry; these girls were condemned and maligned for making unfeminine choices. And those who do chose to marry and settle down? Well, a life of domestic servitude awaits them. McCarthy writes an unsettling scene of the birth of Cecilia, Ellen’s seventh child. The mother sobs wretchedly when considering the extra work that another child will bring, deaf to the nun’s consoling. ”But I don’t want another baby!’ Ellen shouted. ‘I don’t! I can hardly deal with the poor mites that I have already!” The struggling mother sees the role of a nun as an alternate life – free from the daily suffering of upholding a family. As a teenager, Cecilia is repulsed by friends’ older sisters pushing prams, and refuses to traipse the path to domestic servitude. Reflecting on her tense relationship with Ellen, Cecilia admits that ‘…she knew if she allowed herself to stay close to her mother, she would be dragged down into that compliant domestic cesspit of never-ending meals and cleaning and looking after other people’s wants before her own.’ As well as having a deep faith, Cecilia sees her life in the convent as an alternative to being an eternal mother and housekeeper. Perhaps when Cecilia was 19, there were not many other options. Peach grapples with responsibility and relationships, and questions about identity and female agency are raised. Tales of our leading lady’s predecessors develop concurrently with her own story, making it is easy to compare today’s reality with that of yesterday’s. Written simply and with identifiable characters, this is an excellent YA novel. Feel free to gift to your nieces and younger sisters so they can see history close to home, and from a woman’s perspective. This entry was posted in Arts, Books and tagged book review, books, fiction, literature, Maureen McCarthy, patriarchy, Review, society, The Convent, young adult. Bookmark the permalink.